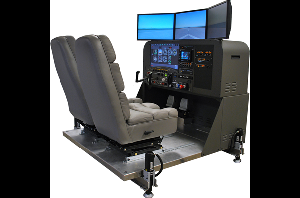 The CRX ProMotion system blends a 3-DOF motion base with our most popular simulator, the CRX. Now, affordable motion-based sims are truly within anyone's reach. With more standard features, controls and aircraft than any competitive product, the CRX AATD ProMotion system represents the best value in flight simulation today.